I just released Protector (Flawed #3), the latest installment of my New Adult Urban Fantasy Suspense series Flawed. Next up is a story from the same universe entitled The Father Hunt. When fifteen-year-old Graham finds an old love letter stashed in his mother’s closet, he holds the clue he needs to find out who his father is. Join Graham and his friend Violet as they attempt to solve the mystery of his missing father. 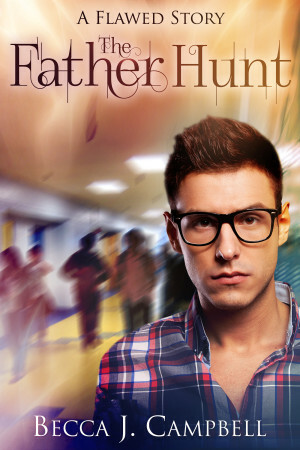 The Father Hunt is a novella-length companion to the Flawed series, but since it introduces new characters, it can be read alone. This story will be released in March of 2016. If you’d like to get your hands on a free early copy, email me and I’ll add you to my advance review list. You don’t need to have read other books in the series. Here’s a little more about The Father Hunt. Fifteen-year-old Graham has always wanted to know his real father, but his mom won’t share that hidden part of her past. When he discovers an old love letter stashed in her closet, he suspects this clue may lead him to the truth. While vacationing at the beach, Graham, with the help of his feisty and beautiful friend Violet, searches for evidence of this mystery man. Will digging up the past lead Graham to find his real father? The secrets he discovers are bigger than he ever expected. This entry was posted in Books and tagged advance reader copy, amreading, ARC, becca j. campbell, Flawed series, Mystery, reading, reviewers wanted, suspense, The Father Hunt, thriller, urban fantasy, writer, writing, YA, young adult. Bookmark the permalink.